Twelve Tuesdays of Christmas, Week SEVEN! CLICK HERE TO SEE ALL OPTIONS!! What kid or grandkid wouldn't absolutely LOVE this Christmas gift? 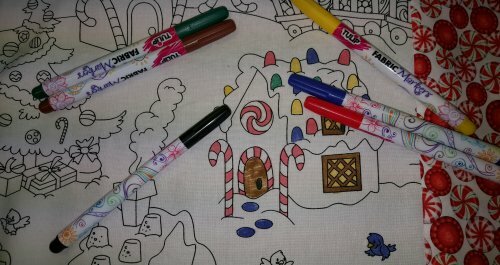 Whip up these pillowcases in about a half hour, tuck them in their stocking with fabric markers, and let the fun begin! There are so many options! Four "Construction" Options for Boys, Four "Ballerina" Options for Girls, and Four "Christmas" Options for EVERYONE!! Fabric Markers also available in both neons and primaries! NOW THROUGH SATURDAY, NOVEMBER 12th, JUST $11.19!! Fabric Markers Just $6.99 per pack! CLICK HERE TO SEE ALL OF THE OPTIONS AND ORDER YOURS TODAY! Need a class to make these perfect, professional Pillowcases? 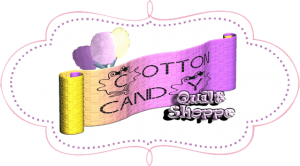 CLICK HERE to join us for a Tuesday night MINI on Tuesday, November 22nd! Presently doing "Farm Girl Vintage"
Giggles abound as you quilt with your Patchwork "Sistahs" and move along on this "start anywhere" sweet little quilt! Linda Nicholson, First Place with 45 Points! Congratulations all around as they have finished an UNBELIEVABLE number of projects! TRULY, EVERYONE IS A WINNER WHO PARTICIPATED IN THIS EVENT, WITH PILES AND PILES OF FINISHED PROJECTS!